Making the decision to move a senior loved one away from home can be difficult. According to Caregiver.org, 12 million Americans require long-term care. Sadly, outsourcing care for an aging family member is necessary for many families and also live in care can get really expensive. 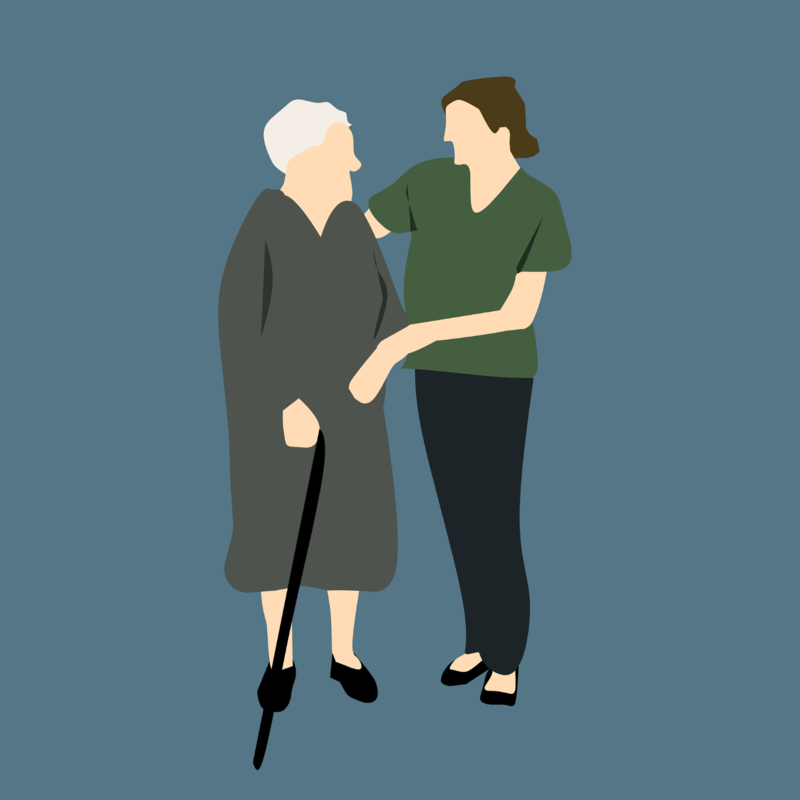 This is especially true for those families where work and other obligations make it impossible for an adult child to always be present for their ailing parent. Having your senior parent or loved one apart from you don’t need to be a constant source of stress. Here are some great ways to help ensure they are safe and provided for while they’re out of your physical reach. Your parent’s caregiver will be your greatest asset in providing for your loved one, understanding their changing needs, and making necessary adjustments. It is important that you precisely convey to them your expectations regarding how often they provide updates regarding your family member. If you’ve opted for private, in-home care, you may request text or other instant messages as soon as there are changes in the individual’s behaviors. When your loved one is in the care of an assisted living facility, ask about weekly follow-up emails from his or her primary caregivers. Another challenge of managing your loved one’s care from afar is keeping up with healthcare and other insurance policies. While most of the maintenance can be done online, many older adults don’t possess the knowledge to do so. Luckily, there are plenty of good resources online regarding Medicare, supplemental insurance plans, and life insurance policies. You can help your family member enroll in, manage, and update their plans as necessary. If you will be the primary contact for these policies, you will likely need a medical power of attorney, so check with your lawyer. Many organizations offer services such as meal delivery, dog walking, housekeeping, and volunteer landscaping. If your loved one is able, you may also suggest volunteering their own time mentoring others in areas they have knowledge. Youth groups, for instance, are always looking for people to teach valuable life skills like cooking and sewing. Connecting your aging parent to these groups serves the dual purpose of allowing them to be a part of their community and feel needed at the same time. Technology is quickly becoming a daily aspect of care in homes and assisted living communities across the country. Monitoring and caring for a loved one may now be handled in part through numerous hi-tech devices. These range from unobtrusive home sensors and response systems to exercise and health monitors your loved one wears. New monitoring systems have the capability of passively following movement in your loved one’s living area. If there are any disturbances, an alert can be shared through an application to you or a caretaker. If your loved one isn’t in need of care but lives alone in a large estate, it may be time to consider helping them move into a more manageable property. Empty-nesters don’t need a four-bedroom home with a large yard; a single-story cottage may suit their new life in retirement. Selling an older home is a great way to cash in assets that your loved one can use for personal pursuits such as travel. It will also provide cash that can be used to pay for alternative accommodations, including the cost of assisted living. According to SeniorLiving.org, this ranges from $2,850 to more than $5,000 per month, depending on location. Decluttering a loved one’s home is also a smart way to prevent injury. Helping your parents or grandparents rid themselves of clutter can decrease their risk of falling. According to Verywell.com, having moderate amounts of clutter can also cause stress, which is more difficult for older people to manage. Here are a few tips to make this often daunting process easier on everyone. Assess the situation: Many senior citizens hold on to what we perceive as nothing more than trash. This may be a sign of hoarding, a mental disorder that requires a gentle touch. Be supportive: Understand that many items may hold meaning. Still, help them understand that too much clutter may be hazardous. Listen to their concerns and offer options that will help them let things go. For example, a large library of books may be converted to a digital archive through an e-reader. Go from room to room: Take things one room at a time. Periodic cleanings over time will encourage positive habits for the future. Go at their pace: Whether they want to knock it all out at once or take it in 15-minute spurts, stick with your loved one’s pace to avoid conflict. Living apart from a loved one is never easy. However, with a bit of planning, ongoing communication with caregivers, and preemptive actions, it will be a less stressful situation for all concerned. Previous post: Go Local to Global in 5 minutes – Here’s how to do it with a VoIP number!